If you’ve been dreaming of a new Honda, now is the time to make those dreams a reality. This week only, you can unlock exclusive offers that you won’t want to miss! 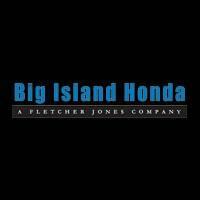 At Fletcher Jones Big Island Honda, you don’t have to fall in a long line to save the most on a new purchase/lease, service maintenance, or on service parts. Just do some clicking on the button below, and you’re good to go! To make sure this holiday season is one to remember, you’ll qualify for a Black Friday Oil Change Special and a complimentary multi-point inspection and a shuttle service to shopping areas*. What are you waiting for? Contact us online or at (808) 930-2500 to learn more. Why Service at Big Island Honda?